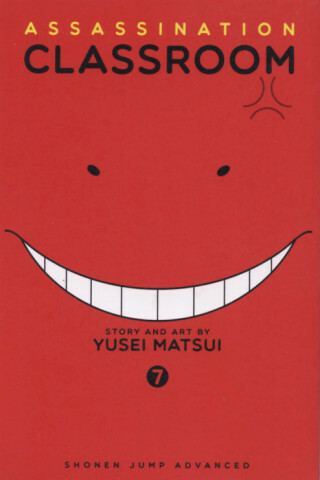 Assassination Classroom Volume 7 focuses on Koro Sensei, a powerful octopus creature that’s serving as the homeroom teacher for Class 3-E at Kunugigaoka Junior High School. But he’s a creature who intends to destroy Earth within a year, unless the students in his classroom can assassinate him before the deadline. Even though there’s craziness surrounding the assassination attempts, Koro Sensei is still able to teach his students and help them improve. At the beginning of Volume 7, we see both Class 3-E and Class 3-A taking their final exam for their first semester. I really liked seeing how Matsui illustrated the students tackling the questions on their exams, because I thought that depicting the test questions as monsters in an arena was very creative. This personification was made even better whenever the reader saw someone from Class 3-E besting someone from Class 3-A. Between Class 3-A’s bet and Koro Sensei’s motivator before the exams, the members of Class 3-E had a lot of reason to try to do their best on the exams. Obviously, their class didn’t get the top rank for every subject, but they scored just enough top rankings to win their bet with Class 3-A. Their demand is to be allowed to go on the three-day, two-night trip to an island resort in Okinawa that’s usually only taken by the top students at the school. But it turns out it’s not all fun, games, and relaxation for the members of Class 3-A during their trip. Once they reach the island, most of the rest of the volume focuses on the students setting up and executing their assassination attempt on Koro Sensei that he offered as an incentive for them to do well on their exams. It was actually a rather well-thought out plan, but of course, the reader knows that it likely won’t succeed for some reason. Even with that thought in the back of my head, it was still fun to see the assassination attempt unfold. But after the attempt, something very surprising happens to the students right at the end of the volume, and it causes quite a cliffhanger. When it comes to the art, the opening section with the test questions being personified as monsters really stood out to me. Matsui came up with some really good designs for the monsters, and it’s obvious that effort was taken to include a lot of detail for them. 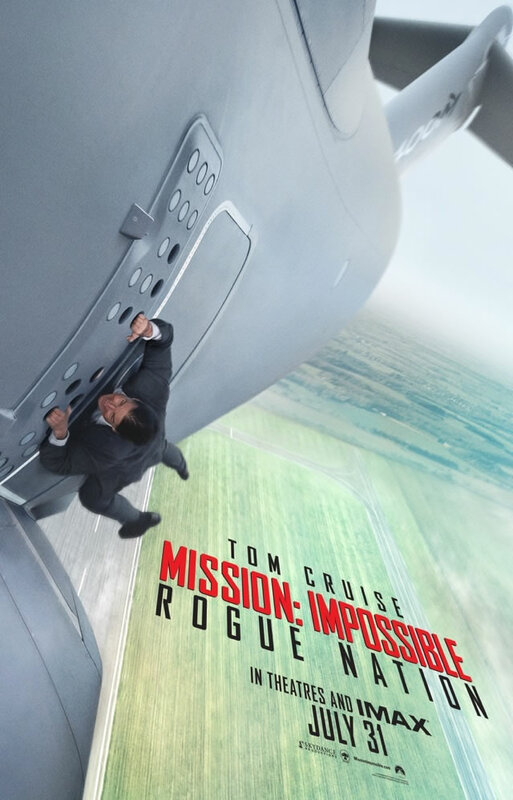 And some of the art during the major assassination attempt on the island also stands out. 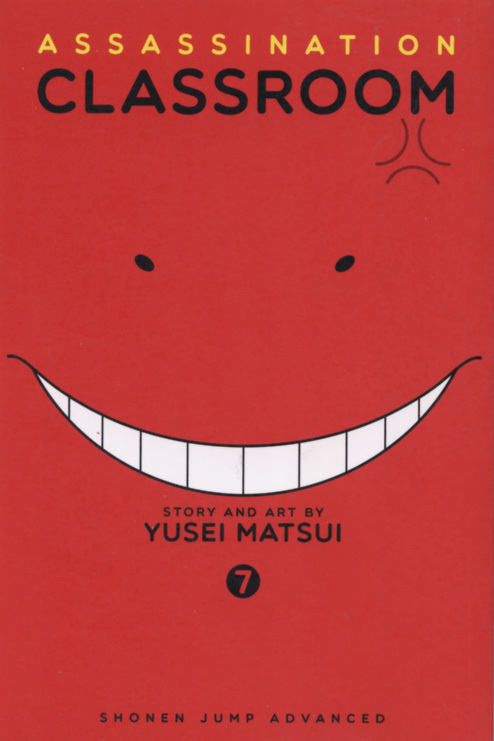 Assassination Classroom Volume 7 continues with the storytelling that readers have come to expect from the previous six volumes. However, Matsui suddenly kicks things up a notch right near the end of the volume, and it also causes the story to suddenly shift into more of a serious tone. Since the storyline doesn’t end in this volume, this more serious tone will be continuing in Volume 8. While it’s a bit of a sudden shift, I think the series reached a point where Matsui had to show it could have a little more of a serious side. While the humor in Assassination Classroom is really good, I think it’s also a good idea to shake things up a little at this point. 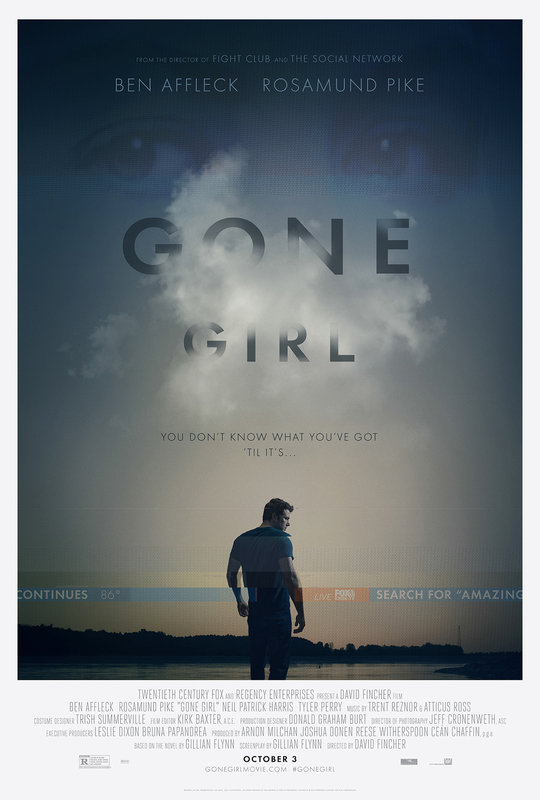 But I have a suspicion that once this particular storyline is over, the series will likely return to the humor that it’s usually known for. Even with this sudden tonal shift, I think that fans of the series will still enjoy reading Assassination Classroom Volume 7.